It seems almost sacrilegious to change one of Dame Agatha Christie’s endings. Imagine watching a version of Murder on the Orient Express, wherein the porter did it. Admittedly, this mystery isn’t as well known, probably because it does not feature any of her signature sleuths. Yet, it was one of the two novels she often claimed as her favorites (along with Crooked House). 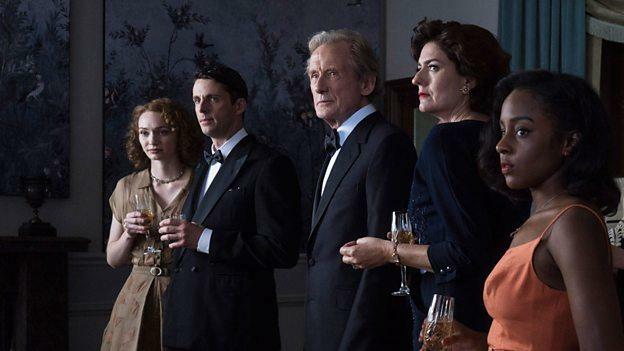 Anyway, if you think you already know the murderer, you will have a surprise coming in the three-part Ordeal by Innocence (trailer here), which premieres on Amazon Prime this Friday. Arthur Calgary expects a warm reception when he presents himself at the Argyll country estate. He had been the alibi wayward Jack Argyll claimed when he was accused of killing his adoptive mother, but circumstances prevented him from coming forward at the time. In the 1985 film adaptation, Calgary was off the grid on an arctic expedition, which is nothing to be embarrassed about, but this time around, he has just been released from a psych ward. Regardless, the patriarch Leo Argyll initially tries to dismiss Calgary as a crank or a con artist, but the truth and significance of his claims will become inescapable. Alas, it is all too late for Jack the black sheep son, who died in prison, under somewhat mysterious circumstances. Of course, that means someone in the Argyll family murdered nasty Rachel Argyll and let troublesome Jack take the fall. Frankly, all of her adopted children had reasons to resent her. Her husband’s mistress, now his fiancée, also had plenty of motive. Her son-in-law, Philip Durant, a wheelchair-bound war veteran might be the only family member without good reason to kill her, but he has some ideas as to who might have done it. This production of Ordeal has plenty going for it, particularly Matthew Goode mischievously chewing the scenery as the roguish Durant. As usual, Bill Nighy is reliably droll and aptly world weary as Leo Argyll. Plus, Anna Chancellor is so fiercely imperious as Rachel Argyll in flashbacks, viewers have no trouble understanding why someone murdered her (the better question would be why did it take so long for somebody to finally do it). On the other hand, poor Luke Treadaway’s Calgary is a big clammy nothing, comparing poorly to Donald Sutherland’s earlier portrayal. It is hard to believe he would stick to his awkward mission. More controversially, the new ending lacks the acidic irony of Dame Agatha’s original. Since we are already making comparisons, the late great Dave Brubeck’s original jazz soundtrack for the film is also much more distinctive Stuart Earl’s conventional themes for the new series. Ironically, Brubeck’s score was derided at the time, but it really gives the film a unique identity—and it sounds terrific. This Ordeal had a brush with infamy during production, when a featured actor’s scenes had to be reshot with someone else, due to sexual assault allegations. You have to give director Sandra Goldbacher credit, because she pulled off the replacement seamlessly. The result is a decent British TV mystery, but it would have been better if it had been more faithful. Maybe it is unfair to compare the two versions, but we can’t ignore anything that involved Brubeck. 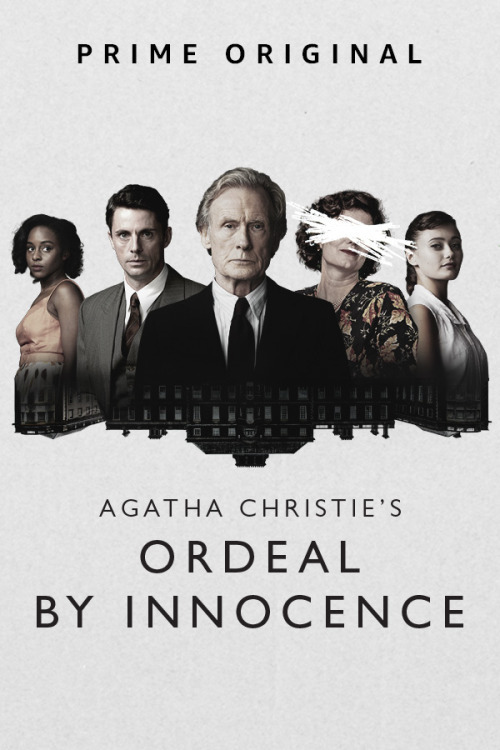 So yes, the new Ordeal by Innocence is a watchable distraction for Prime subscribers when it starts streaming this Friday (8/10), but hopefully the hype surrounding it will prompt someone to re-release the 1984 film.